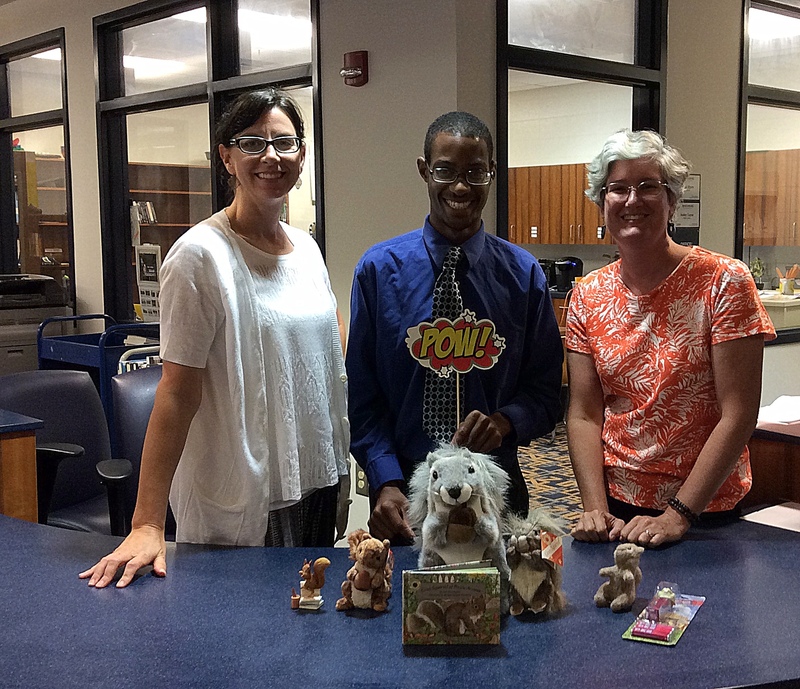 Library Staff – Now Squirrelier than EVER! Thank you thank you to Mrs. Potter for adding these squirrels to our collection. We are squirrelier (in more ways than one) than ever! A big huge welcome to our new assistant Mr. Means. Mr. Means comes to us from the USC Union library. Please stop by and say, “Hi!”.